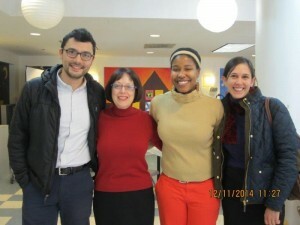 Members of COHHO are on the frontlines of advocacy for the homeless living in the nation’s capital. Homeless service organizations, housing organizations, and homeless advocacy organizations are particular encouraged to join. Add strength to the voice for the homeless or nearly homeless. Promote organizational events on the COHHO website. COHHO’s monthly meetings include Workgroup decision-making as well as information-exchange and presentations by experts on current issues and proposed solutions. As a body, COHHO writes position papers and letters to policy-makers. COHHO members testify at the City Council and meet with decision-makers. Since January 2015, COHHO has put its time and energies into the District’s Interagency Council on Homelessness processes. For information about the ICH, see www.ich.dc.gov. We may choose to resume COHHO meetings based on need and interest. We continue to “meet” via email listserv. COHHO met three times in summer 2016, to work on amendments to the District’s Homeless Services Reform Act, and to provide a public forum for the draft District Winter Plan for 2016-2017.